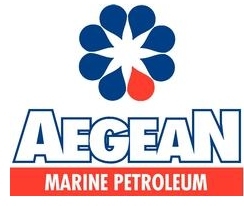 Aegean Marine Petroleum Network Inc. (NYSE: ANW) (“Aegean” or the “Company”) announced today that the U.S. Bankruptcy Court for the Southern District of New York (the “Court”) has confirmed its plan of reorganization (the “Plan”), subject to minor modifications. This development paves the way for the Company to emerge from Chapter 11 restructuring next week as a wholly-owned subsidiary of Mercuria Energy Group Limited (“Mercuria”), one of the world’s largest independent energy and commodity companies. The Plan was the result of the Company’s successful global settlement with its various creditor groups, including Mercuria, the Official Committee of Unsecured Creditors of Aegean, American Express Travel Related Services Company, Inc., and certain holders of the Company’s unsecured convertible notes. “The Court’s confirmation of the Plan is the culmination of a comprehensive restructuring of the Company’s operations and capital structure that positions the business to excel under Mercuria’s ownership. This successful stabilization of the business would not have been possible but for the dedication of the leadership and employees of Aegean.” said Tyler Baron, Aegean Board Director. Additional information about the Chapter 11 cases, court filings and other documents related to the Chapter 11 cases are available on a website administered by the debtors’ claims and noticing agent, Epiq Corporate Restructuring, LLC, at http://dm.epiq11.com/aegean.